[Updated] A press conference was held this afternoon [Nov 21] to provide information on the World Triathlon Series event which will be held in Bermuda next April, with those making remarks including Senator Crystal Caesar, the BTA’s Pat Phillip Fairn, members of the organizing committee, and triathlete Flora Duffy, who is expected to compete in the event, giving locals a chance to see our own world champion compete here on home soil. The press conference, which provided details on the race course, has just concluded and we will have additional information later on, and in the meantime the 18-minute live video replay is below. Update 5.15pm: A BTA spokesperson said, “The global triathlon spotlight will shine on Bermuda in April when it hosts the ITU World Triathlon Bermuda, showcasing the island and proudly supporting two-time reigning World Champion, Bermudian Flora Duffy. “The Local Organising Committee of the international sporting spectacle, revealed the race courses today for both the Elite and Age Group races within the event. Both races will take place on Saturday April 28th during the Bermuda Triathlon Festival Weekend [Thursday April 26thto Sunday April 29th]. “It is anticipated that hundreds of people will participate in the Age Group event, including locals doing a triathlon for the first time. Organisers welcome sportspeople of other disciplines to register and train for the April event, which does not require a qualifying time. Not often can you do a first triathlon in a World Series event right at home! “Due to the large numbers of participants, the transition area to start the bike and run for the Age Group course is at City Hall car park. 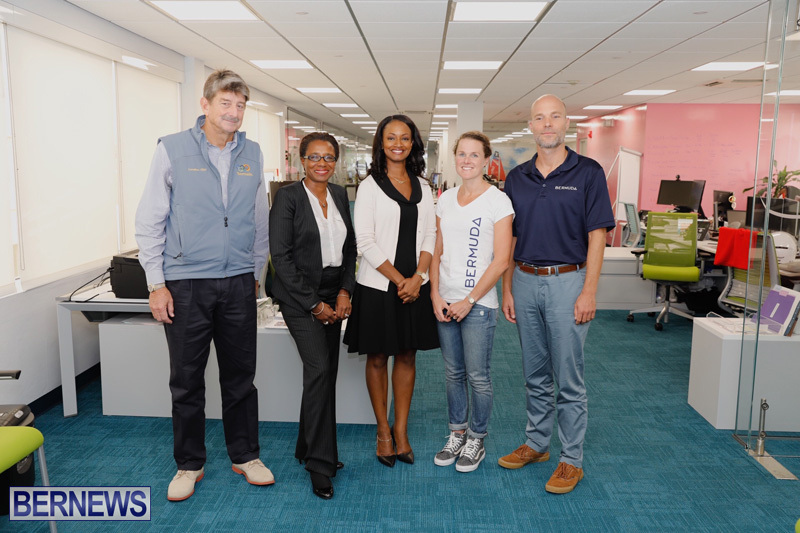 Minister for Tourism and Economic Development Jamahl Simmons expressed his thanks to the Local Organising Committee for their collaborative work in helping all agencies agree on a course that is safe and practical, while showcasing some of Bermuda’s best scenery. Bermuda Tourism Authority Chief Product & Experiences Development Officer, Pat Phillip-Fairn said: “The courses are the result of a close collaboration between the City of Hamilton, the Bermuda Police Service, government departments such as the Department of Public Transportation and Works & Engineering, the Bermuda Triathlon Association, the International Triathlon Union [ITU] and the Local Organising Committee. We truly appreciate this huge cooperative effort. “Hamilton shops, restaurants and businesses will be open as usual. Hamilton will be buzzing with additional entertainment and unique vending opportunities during the Bermuda Triathlon Festival Weekend and details of those events and Fan Zone locations will be released shortly. “City of Hamilton Mayor, Charles Gosling said: “We welcome the ITU’s World Triathlon Series to Hamilton, it’s an honour to host an international sporting event of this scale and we look forward to the positive impact it will have on Hamilton businesses and residents. “The Local Organising Committee is also working with Bermuda Police Service, Emergency and Health and Safety Services on a comprehensive safety plan and with Works & Engineering on aspects including road closures and resurfacing of some roads. “The Local Organising Committee will invite residents, businesses and other community groups along the course in coming weeks to see race route details and plans to minimize disruption. Hosting an international event of this magnitude undoubtedly brings some changes to residents’ daily routines and organisers are grateful for the public’s patience and participation. What a shame that on a beautiful island the course is all town! Seems a bit silly when we have an amazing coastline. Furthermore the finish is very tucked away and partly blocked in by the waterfront. It all looks a little crammed! Thank you BTA and OBA let’s make BDA proud again.